On June 22, DigiX2018 HUAWEI Consumer Business Group Global Partners and Developers Conference was officially launched at HUAWEI Beijing Research centre. 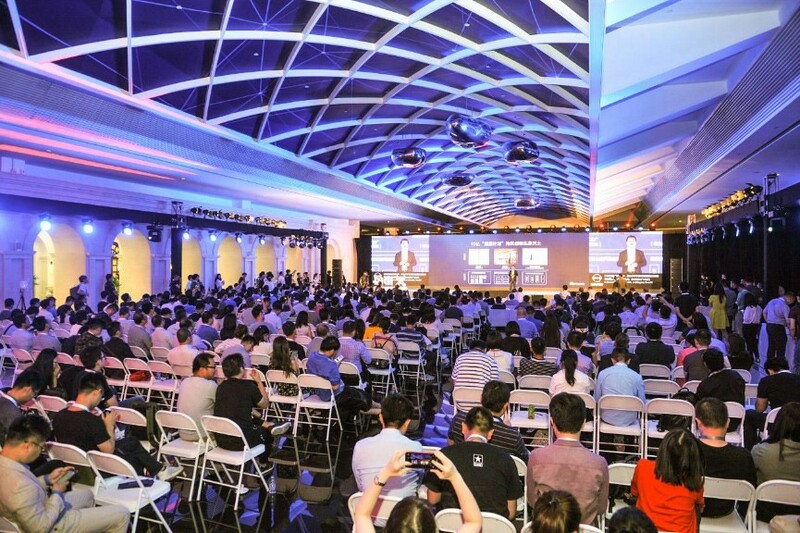 With nearly 1000 partners and developers from all over the world, HUAWEI focused on “Openness & Innovation” and explored how to create the Global innovation Ecosystem to provide more personalised and high-quality content and services to users from multiple dimensions like full connection, intelligence and globalization. 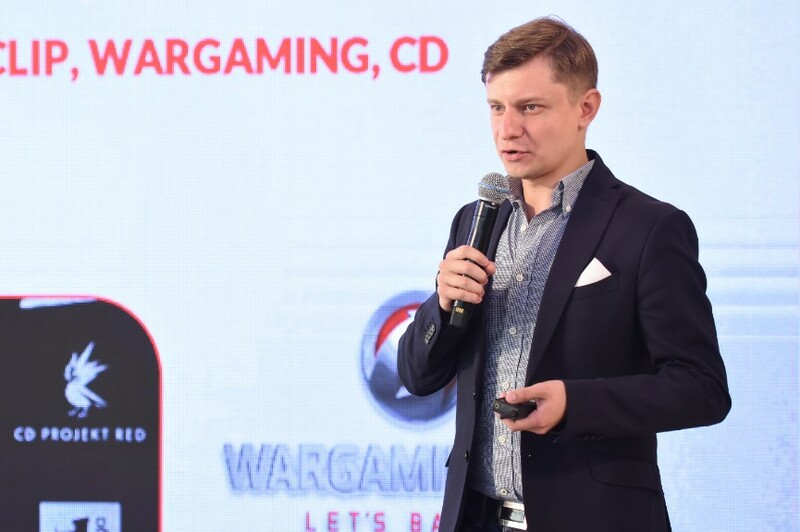 In the Globalization sub-forum, Stanisław Fiedor, CEO of Fuero Games also shared the journey of long term partnership and cooperation with HUAWEI, and Winions: Mana Champions being selected as the launch title for HUAWEI’s new Hero Maker project. HUAWEI Hero Maker is a key project in the Global launch of HUAWEI´s new AppGallery. HUAWEI AppGallery offers consumers a user & family friendly app store specifically designed to promote high quality content, special value offers & apps optimised for HUAWEI. “Fuero Games is super excited that our game “Winions: Mana Champions” has been selected as the first HUAWEI Hero Maker title. As a developer we want to bring joy with our game to as many players around the world as possible. Teaming up with HUAWEI gives us the perfect opportunity to reach out to over 400 million players and invite them to dive into the “Winions” universe. ” said Stanisław Fiedor. HUAWEI Hero Maker is a cornerstone of HUAWEI's commitment to build partnerships with the development community worldwide, to identify innovation, emerging talent and world class games and apps, and cooperate to bring the best content to HUAWEI consumers and help development partners grow their brands and business globally, including China. “China marketing is the future. 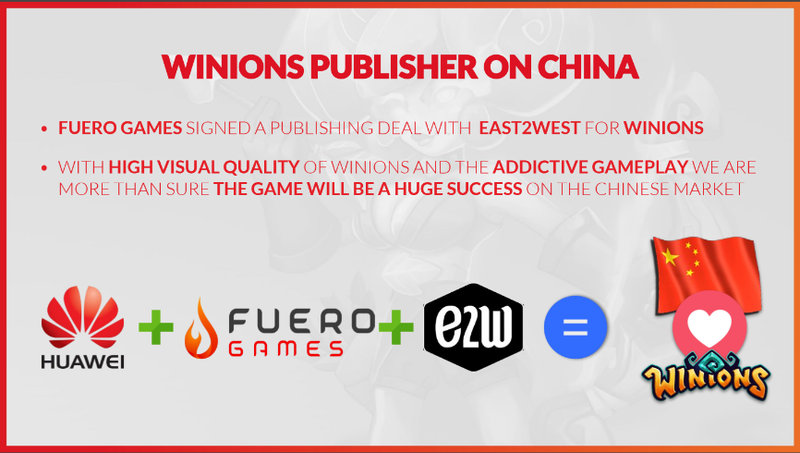 With high visual quality of ‘Winions’ and the addictive gameplay, we are more than sure the game will be a huge success on the Chinese market. ” said Stanisław Fiedor. HUAWEI offers low-friction solutions to make it easy for developers to publish their games and apps to AppGallery, with global integration enabling developers to publish worldwide to all HUAWEI and Honor users. HUAWEI's commitment to developers extends to full onboarding and expert technical support, open access to HUAWEI's automated test lab and performance optimisation for HUAWEI devices. HUAWEI's promotion support includes home page featuring in AppGallery, on-device activation and online marketing. Developers can take advantage of device integration, with Preloads and Top Apps recommendations for all new users, as well as AppGallery promotions, driving traffic by creating unique phone Themes and Wallpapers, and cooperating in online and social media campaigns. “HUAWEI Mobile Services has provided digital services for 400 million users in over 170 countries. In addition to Chinese market, the overseas market users will exceed 58 million this year. We provide the global cloud platform, integrate security and privacy protection capabilities, develop the local service talent teams around the world to provide one-stop services for developers and partners around the world.” said Jervis Su, Vice President of Cloud Service, HUAWEI Consumer Business Group. HUAWEI's Mobile Services team is very active in cooperating with highly talented and ambitious developers to showcase the cutting edge features of Huawei devices, promoting unique user experiences powered by developer innovation and Huawei technology to surprise and delight HUAWEI's customers worldwide. Mobile Developers across the Globe can apply to the project via HuaweiHeroMaker.com.